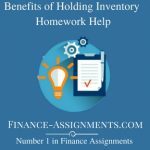 Given the total requirements of inventory during a given period of time depending upon the inventory planning horizon, a firm has different alternatives to purchase its inventories. For instance, it can buy its entire requirements in one single lot at the beginning of the inventory planning period. Alternatively, the inventories may be procured in small lots periodically, say weekly, monthly quarterly six monthly and so on. If the purchases are made in one lot of the average inventory holdings would be relatively large whereas it would be relatively small when the acquisition of inventory is in small lots: the smaller the lot, the lower the average inventory and vice-versa. High average inventory would involve high carrying costs. On the other hand, low inventory holdings are associated with high ordering cost, The error or long analytical approach for the dctennination of EOQ uses different permutations and combinations lots of inventory purchases so as to find out the least ordering and carrying cost combination. 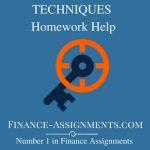 In other words, according to the approach, the carrying out acquisition costs for different sizes of orders to purchase inventories are computed and the order size with the lowest total cost (ordering plus carrying) of inventory is the economic order quantity. While using the EOQ model, it should be noted that it suffers from oncoming which are mainly due to the restrictive nature of the assumptions on which it is based, the important limitations are explained below. The assumption of a constant consumption usage and the instantaneous of inventories are of doubtful validity. As discussed subsequently deliveries from suppliers may slower than expected for reasons beyond control. It is also possible that there may be an unusual and unexpected demand for stocks. To meet such firms have to keep addition inventories which are known as safety stocks. Another weakness of the EOQ model is that the assumption of annual demand of inventories is open to question. 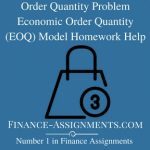 There is likelihood of a discrepancy between the actual and expected demand leading to a wrong estimate of the economic order quantity. In addition, there are some computational problems involved. For instance, give the EOQ in fractions, say, 232,5 units. A more difficult situation may occur when the number of orders to be placed may turn out to be a fraction. The EOQ technique determines the size of the order to acquire inventory so as to carrying as well as the ordering costs. In other words, the EOQ provides an answer to question, how much inventory should be ordered in one lot? Another important question pertaining to efficient inventory management is, when should the order to procure inventory he paid this aspect of inventory management is covered under the reorder point problem. Thee reorder point is stated in terms of the level of inventory at which an order should be place for replenishing the current stock of inventory. In other words, recorder point may be defined as a level of inventory when fresh order should be placed with the suppliers for procuring addition inventory equal to the economic order quantity. 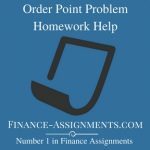 Although some sophisticated reorder point formula are available, they are outside the scope of this books have, therefore, used a simple formula to calculate the reorder point. It is based on the following assumptions: (i) constant daily usage of inventory, and (ii) fixed lead time. In other words, the formula assumes conditions as certainty. The reorder point = Lead time in days x average daily usage of inventory. The term lead time refers to the time normally taken in receiving the delivery after orders with the suppliers. 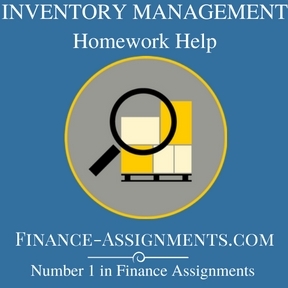 It covers the time span from the point when a decision to plant the order for the procurement of inventory is made to the actual receipt of the inventory by the fim. Another way of saying it is that the lead time, of the number of days required by suppliers to receive and process the order as well as the number of days during which the good will be in transit from the supplier. The lead time may also be called as the procurement time inventory. The average usage means the quantity of inventory consumed daily. We call, therefore, define reorder point as the equal to the consumption during the lead time. The average consumption (daily) of inventory of a firm is 1000 units. The number of days required to receive the delivery of inventory after placing order (i.e. processing and transit time) is 15 days. The reorder point = (15000 units) units. The implication is that the firm should place an order for replcache the inventory coming soon is the level reaches 15,000 units. The size of the order would obviously be equal to the EOQ. The economic order quantity and the reorder points as inventory management techniques. have explained to keep the discussion simply, on the assumption of a conditions. That we had assumed (i) constant fixed requirement of inventory and (ii) instantaneous inventory. The assumptions are however, of questionable validity innocturnasituationsons, that is under conditions of uncertainty. For instance, the demand for inventory is likely to fluctuate from: In particular. It certain points of time till demand exceed the anti pared level. In other words a discrepancy between the assumed (unuci patch expected) actual usage rate of inventory is likely to occur in practice. Similarly, the receipt of inventory from the suppliers may be delayed the expected lead time. The delay may arise from strikes, flood transportation and other bonk necks. Thus, a firm would come across situations in which the actual usage of inventory is higher than the anticipated level and or the delivery of the inventory from the suppliers is delayed. The effect of increased and or slower delivery would be a shortage of inventory. That is, the firm would face a stock out situation. This, in turn, as explained in detail below would disrupt the production schedule and alienate the customers. The firm would, therefore, the well advised to keep a sufficient safety margin by having additional inventory to guard against stock out situations. Such stocks are called safety stocks. This would act as a buffer or cushion against a possible shortage of inventory caused either by increased usage or delayed delivery of inventory. The safety stock may, then, be defined as the minimum additional as a safety buffer or cushion to meet an unanticipated increase in usage resulting from all unusually high demand and or all uncontrollable late receipt of incoming. How can a financial manager determine the safety stock? What is his responsibility? The safety stock involves a types of costs: (i) stock-out, and (ii) carrying costs. The job of the financial manager is to determine the appropriate level of safety stock on the trade off between these two types of conflicting costs. The term stock-out costs refers to the cost associated with the shortage (stock-out) of inventory, It is, in fact, an opportunity cost in the sense that due to the shortage of inventory the firm would be deprived of certain benefits. The denial of those benefits which would otherwise be available to the firm at the stock out costs. The first and the most obvious, of these cots is the loss of profit which the firm could have earned from increased sales if there was no shortage of inventory. Another category of stock out costs is the damage to the relationship with the customers to shortage of inventory, the firm would not be able to meet the customer’s requirements and the latter may rum to the firm’s competitors. It should, of course, be clearly understood that this type of cost cannot be easily and precisely quantified. Last, the shortage of inventory may disrupt the production schedule of the firm. The production process would grind to that involving idle time. The adjusting costs, as already explained in the earlier pan of this chapter, are the red with the maintenance of inventory. Since the firm is required to maintain additional inventory, in excess of the normal usage, additional carrying costs. The stock-out and the carrying costs are counterbalancing. The safety stock, the larger would be the carrying costs and conversely, the safety rock, the smaller would be the stock out costs. In other words, if the firm minisvs the carving the stock-out costs are likely to rise: on the other hand, an attempt to minimize the stock-out implies increased costs. The object of the should be to have the lowest total cost plus stock-out. The stock with minimum carrying and stockout costs is the economic (appropriate). Which Natural should aim at. In brief, the appropriate level of safety stock is determined by the trade off between the stock-out and the carrying costs. WC illustrate in using a method.